Back again for the fifth time: 5 x 2 hrs Waves on one day! 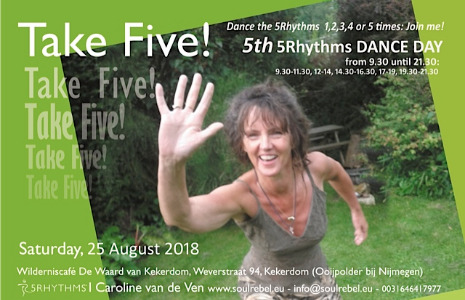 Experience how this will unfold your relationship with flow, staccato, chaos, lyrical and stillness, with ourself, with the other, with the world around us on a profound level, dancing yourself into body wisdom, wisdom from heart and soul. Using our endless possibilities we will dance into the essence of our beings.